OneBox HD is an Android application designed to stream free media including movies and TV shows. This step-by-step MTM tutorial shows you how to download One Box APK on a Firestick, Fire TV or other Android TV Box. Side-load OneBox HD to install on a Fire Stick, Fire TV, or other Android TV box then enjoy unlimited free TV shows and movies. The One Box APK is sure to satisfy your entertainment needs. Download One Box APK and install it easily by following our detailed guide. OneBox HD APK is very small in size, making it perfect for streaming devices with less storage such as the Amazon Firestick. When installing OneBox HD on an Android device other than a Firestick, follow along with this tutorial by installing Downloader app or ES File Explorer. You’ll find them both available in the Amazon App Store and Google Play Store free of charge. When using free streaming apps such as OneBox HD, a securely encrypted VPN is highly recommended to hide your identity, location, and online activities. Many experienced free video streamers, including everyone here at My True Media, prefer IPVanish VPN. The following tutorial demonstrates how to download One Box APK on a Firestick and install it using the Downloader app. These same steps can be followed when installing the OneBox HD APK app on Fire TV, NVidia Shield, Android TV Box, or any other device running the Android operating system. Follow the steps below to download One Box APK and install on a Firestick or Fire TV. First, you must enable apps from unknown sources on your Firestick. Return to the home screen and hover over the spyglass Search icon. Type in Downloader one letter at a time till you see it in the list below. Then, click on the Downloader app. Click Open and then you must click Allow for Downloader to access files on your device. Next, click the Browser tab. In the address bar, enter the following URL: mytm.pw/one and click Go. Now, scroll down and select Download OneBox HD APK. Then, wait for the file to download and then click Install! Click Done once the One Box APK install is finished. This will return you to Downloader where you may click Delete to free up space. To confirm the intended action, click Delete again. Head back to Firestick Home Screen and under Your Appps & Games scroll all the way to the right and choose See All. Scroll to the bottom and long click on OneBox HD. Press select on your remote to move OneBox HD to the top of your app list. Make sure to always use a VPN to protect yourself by remaining anonymous when watching free movies and TV shows with OneBox. You also want to be sure the Play with Pro Player box is NOT checked, then click play to see a selected choice. Now, enjoy all OneBox HD has to offer! OneBox HD was made to be used on an android device, as are all APK apps. Most Android apps are designed to run on smartphones or tablets where a finger on touchscreens is used to navigate. For this reason, many Android apps such as OneBox HD don’t work very well on Amazon FireOS devices such as the Fire TV Stick. 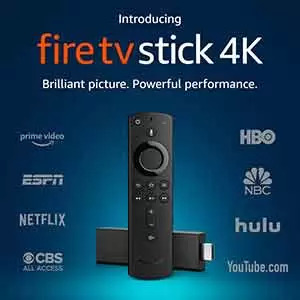 A virtual mouse may be necessary to use some of the features within the Onebox APK app on Firestick or Fire TV. We provide an easy and free solution in our How To Install Mouse Toggle for Firestick article. To learn more and install the Mouse Toggle app on the Fire TV or FireStick, click that link and come back when done. We’ll be right here waiting for you. Once Mouse Toggle downloads and installs on your streaming device, you’ll be able to enjoy all that OneBox HD has to offer. After you make a selection in OneBox HD, you are given 3 viewing options. The title will automatically begin to play with no scraping or searching for sources if you choose Play. This is one of the great features OneBox HD provides. OneBox will provide different options for viewing your chosen TV show or movie. If you select Custom, some find using YesPlayer or another video player works great within OneBox HD. If you already have a preferred media player on your Firestick or other Android TV box, such as VLC or MX Player, feel free to use it when streaming media. You’ll also be given the option to download the title. If you choose the Download button the selected title will download directly to your device. If you want to download movies & TV shows via One Box APK, be sure to install and access a VPN for your protection and security. When you download using One Box APK, your IP address is openly shared with all nodes on the torrent network, not just your ISP, government agencies, and other hackers. To exit out of any ads you may encounter when using the OneBox APK, simply click the back button on your device’s remote. The OneBox movie app has a very friendly user interface, allowing you to easily sort through all the free streaming movies and TV shows in its different categories. These include Popularity, Rating, and Most Recent. The Search button function in the upper right-hand corner of the app allows you to filter titles by Genre. OneBox HD APK works perfectly on the Amazon Firestick due to its small size. It also works great on any other Android TV box or streaming device using the Android operating system.